I have found a lot of useful things on the Internet. Here's a few things you might find useful too. I change this picture every once in a while so previous pictures are filed here. 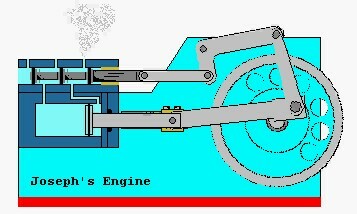 I made a program to do simple animations then made this animation of a steam engine. 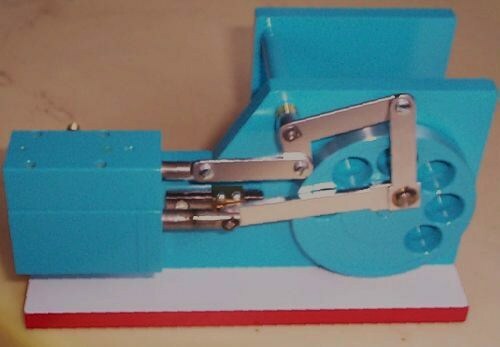 The pictures used in the animation were from the original drawings of the engine which actually exists. I run it on compressed air. It demonstrates the principles and this video is a faithful reproduction of the real thing. As it is, its pretty short. You can loop the viewer to make it last longer. See the real one here. This is a video made from a real time simulation program. 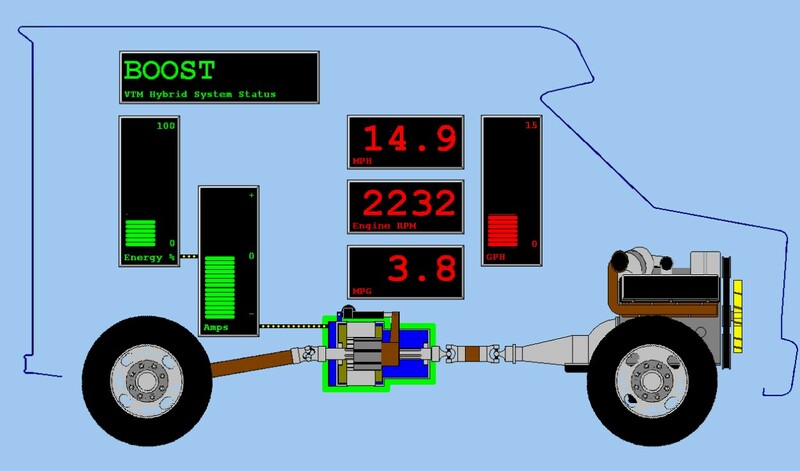 The current application uses a hybrid controller interface to retrieve its information. It is very useful for driver training and system education. I always liked the idea of a slide rule even though I was never very good at using it. I went ahead and made one for the Android. Don't know how useful it will be but it's free and easy to remove. Give it a try. 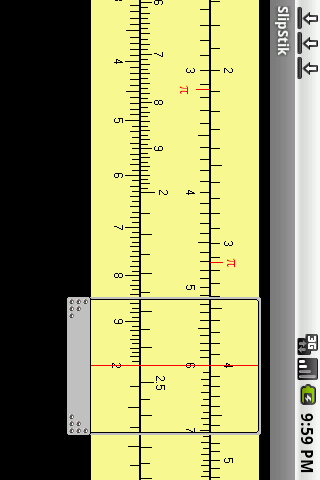 Android Slide Rule App so you can still have one in your pocket. 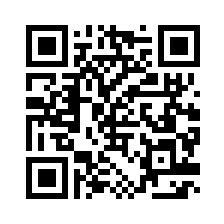 Easy install using barcode reader to scan this QR Code. Nothing else required. When prompted, open the browser to the provided page. Here's how to install an apk from the internet instead of the Android Market (like the apk's above). When you download the apk it will be stored on your SD card so you must have one installed. Press Home/Menu/Settings/Applications to get where you can check the box labeled Unknown sources. Once you have done this you will be able to install applications using the browser. You can go through this same operation to un-check this feature when you are through if you want to. If there is a QR code for the download, you can use the Barcode Scanner app to begin or enter the apk's URL into the browser. If your phone is not showing you the download list after the download you can press MENU/Downloads in the browser to see a list of downloaded files. Select the downloaded file to begin install. Here are some screen shots that might help. Your process may vary slightly. Good luck. I've always been interested in computers programming themselves. My memory isn't as good as it used to be either so reusing code is second nature to me. If I can cut and paste it, that's much easier and faster than typing the whole thing like I'm doing with this. Thirdly, I guess I'm kind of lazy and maybe that is the true mother of invention. To make a long story short, I have always automated my chores when I could. Android is no exception. Download this code writing program for Windows to see what I mean. Every time I get a piece of code worked out, I add it to this program's library of code fragments. 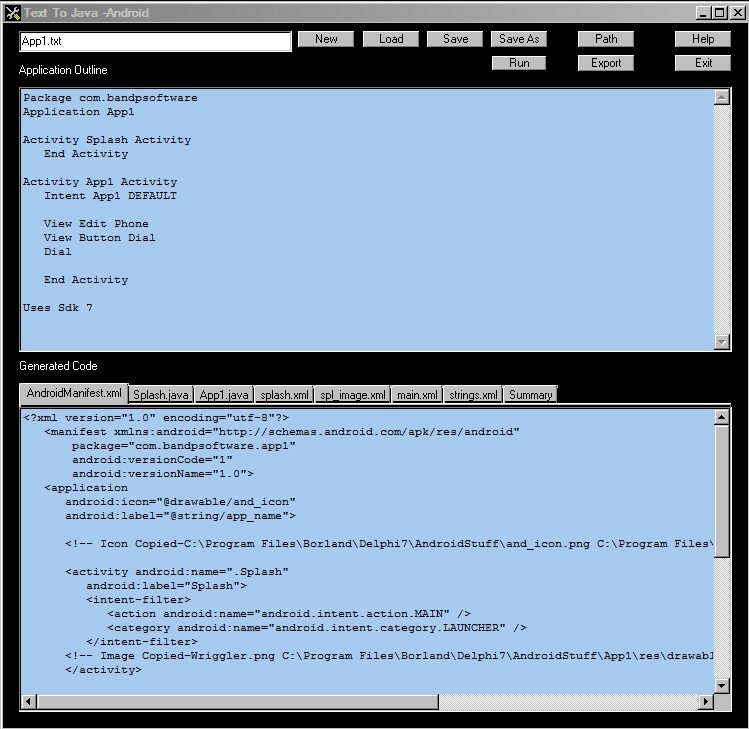 It can then compile them into a functional app from my outline and export it to Eclipse. Here is an example from the latest version of Text2Java. Read more about it here. I once worked at a place that made molten metal. OK, they made wire from molten metal in a continuous casting operation. Every year or so, it seemed like they got a new engineer who was tasked with finding a way to measure the oxygen content of the molten copper. I came up with a way that might do that but nobody was interested. See what you think. Occasionally we wanted to see how much porosity was in a cast bar we made with our molten metal. We would slice a piece off, polish it and look at it under the microscope. So I added a digital camera of sorts to digitize the porosity in the cast bars. It was the early 80's and video was something else entirely. With this setup we could draw a map of the cast bar (like a weather map). I saw a patent that was granted recently that looked suspiciously similar to my method. Not too much survives of that early work but you can see what it looked like here. For anyone interested in the historical aspects of doing low resolution graphics on the IBM Color Display (in text mode) check out this Basica program from the previous century LOWTEST.BAS. It works because the text characters included a character whose quadrants were rectangles that could be different colors. By manipulating these characters, two rows and two columns could be created for each text row and column, and the rectangles would form graphics pixels. Very large graphics pixels. Oh yeah, there were 16 possible colors. 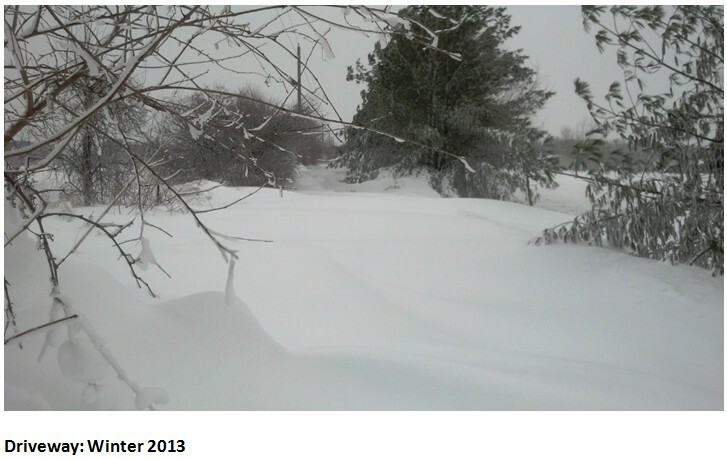 What a difference a couple of decades makes, huh? I think that Sid guy is still around somewhere. I noticed I had a couple of other things from my days at Essex so here they are. I've come up with a lot of circuits over the years. Some I hatched up out of thin air and some I borrowed from fellow travelers. Here are a few. I wanted to smooth out some data points that drew a curve on the display. I'll be darned if I could figure out how to make those Bezier examples I found work for me. So I went back to what I knew about and came up with a whole lot easier way (read that understandable) to do it. This is how you do it in Pascal but its pretty easy to convert it over to Java or C# or something else. Really. Check it out. I still use Delphi when I want to make money. I'm not a muscle bound guy so ways to move heavy objects around easier has always been on my mind. This contraption is something I came up with to move things around in the yard. 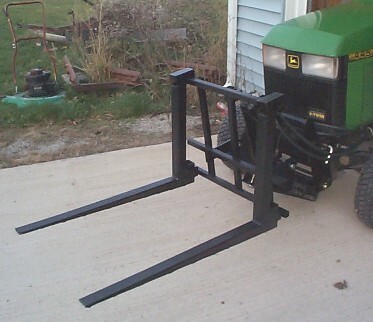 Just had to add a few parts to the standard front hitch of a John Deere 445 tractor. This design allows the forks to move up and down and tilt up and down. The forks maintain their tilt position while moving up and down because its built as a parallelogram using the tilt cylinder as the upper side of the frame. Some day I'm going to make a shallow bucket for it.